Day Two is over, which concludes Blizzcon for this year with no new Archaeology info. Will we see new races to survey? Surely, just no details at this time. Courtesy of MMO-Champion — Blizzcon 2013 Recap: there is a lot more information in each post. The old Dwarf male has 1,160 polygons and was mirrored on both sides. The new model is 7,821 polygons and has higher texture resolutions. The face doesn’t have to be symmetrical anymore. They went 956 to 5,408 polygons on the Gnomes. 130 to 196 bones. Texture resolution was 2 to 5x higher depending on the area of the body. Dwarf Female, Tauren Male, and Female Troll models are all being worked on right now. All of the original races, Draenei, and Blood Elves will be getting new models for Warlords. Worgen and Goblin won’t be getting new models right away. The team will take a look at those models after all of the other ones are done. Facial hair is animated using bones. Capes are now animated using bones to flow more naturally. Gnome female pigtails are now animated. The Enchanted Fey Dragon will be a store mount that is sold to benefit the Make-A-Wish Foundation. It will be sold alone or in a combo pack with another pet for the charity. These are some of the more important points from the Q&As today. Another MoP patch would delay WoD, so Patch 5.5 isn’t going to happen. The entire team is working on WoD right now, so any more MoP content would slow down development. The new Flex loot model will work similar to how Master Loot does today, but the number of drops will scale based on the number of people eligible for loot in the group. 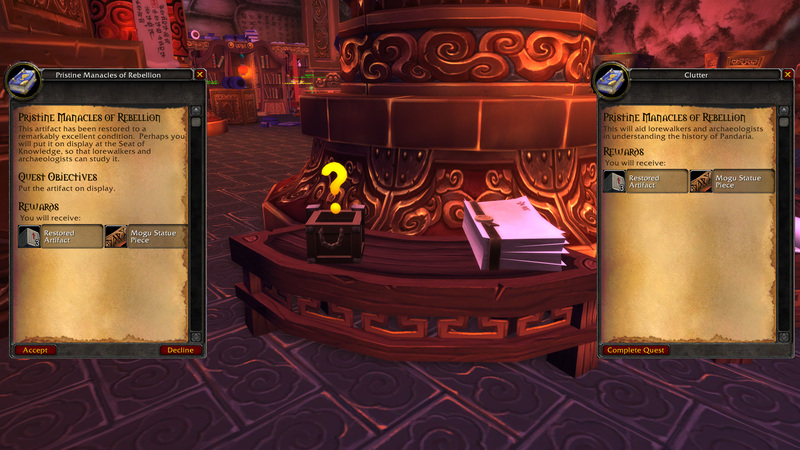 The personal loot system won’t be removed, you will just have to opt in to it. The number of drops will scale well with the number of players, as each additional player gives you a higher chance to get another drop, up to where it is guaranteed. This ensures that are no odd breakpoints that will restrict raid sizes. Mythic raid lockout is boss based, static id, nothing is changing from the current Heroic lockout system. The game has a Raid Browser that no one uses, so in WoD it will be expanded to support killing world bosses, doing achievements, finishing Shadowmourne, or any other activity. This will support cross realm groups and encourage people to do PuGs rather than completely random matchmaking. You can technically buy as many level 90s as you want if you buy another copy of the game, get the level 90, and then transfer the character to your main account each time. The team has talked about putting a level 90 purchase option in the store, but it hasn’t been decided yet. Leveling in WoD will be a fun and fast paced romp through the zones. The team is backing off the idea that leveling should be a long grind. The team hasn’t decided how new character models will be released yet. It could have all of the completed race at launch, or they could be added every patch. There will be no free re-customization for characters after new character models. There aren’t any plans for another WoW Annual Pass. It was a good idea at the time because getting Diablo 3 free made it a good deal, but it isn’t a good for the the D3 expansion. Recruit a Friend will be back next week. The tertiary stats may be limited to a certain slot, like speed only on boots. It will be rare enough that by the time you can farm them progression races will be over. They shouldn’t have a big impact on progression races. 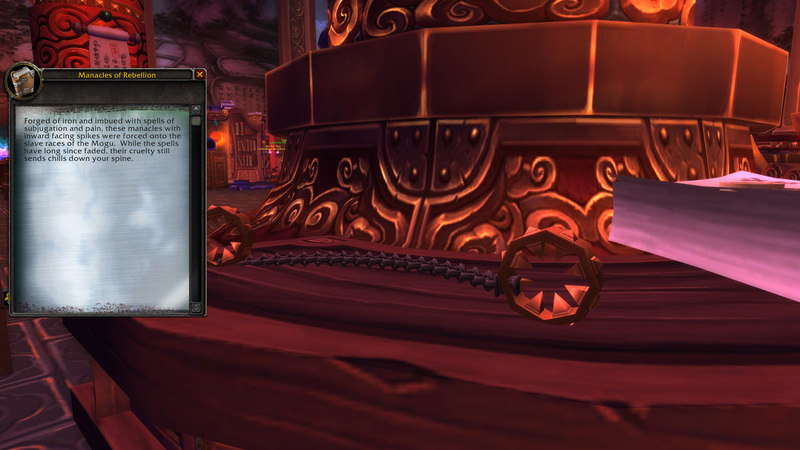 Racial balance will be tuned again in WoD, trying to narrow the gap. Goblin and Worgen have better balanced racials than many other races right now. Duncan Jones has played the Warcraft games, World of Warcraft, and even Lost Vikings. He originally played Ultima Online. Jones liked the script, but it was very Alliance centric. He thought it would be better to make it about both sides and the original Warcraft. The story is Orcs vs Humans. Lothar and Durotan. The style of this war movie will be similar to Gladiator, gritty. The first movie has to be done right, then they can think about doing more. The majority of the movie takes place in the Eastern Kingdoms. The lore of this time doesn’t have many female characters, but the producers are pushing for including some female characters. We will see a preview sometime next year, maybe at Blizzcon. The Lord of the Rings movies inspired Jones to want to do this movie. He wants to match or beat them at making an awesome movie. The movie will be PG13, but the PG13 rating is shifting. You can get away with a lot more now and still be PG13. Each raid difficulty has its own lockout. They will be loot based lockouts, allowing you to kill the same boss multiple times per week and only get loot once a week. There will be more optional content and less quest hubs that have to be unlocked by another chain first, along with more dynamic events and treasures found in the world. There will be few or no daily quests at level 100! It will be a mix of the story in 5.1 and Timeless Isle in 5.4. Hit, Expertise, Dodge, Parry, Reforging, all gone! The primary stats on armor will now change based on your spec. Plate drops and it will have whatever stats your class needs, no more Intellect plate! No more PvP Priest Healing set and PvP Priest DPS set, just a Priest set. Tertiary stats are bonus stats that can appear on gear that don’t count towards the item level budget. Lifesteal, avoidance, sturdiness, movement speed, cleave, and more. Jason Hayes is back at Blizzard. New character models will come with new character attack sounds, new footstep sounds, and new working sounds. Hunters will be getting updated weapon sounds in WoD. Warlords of Draenor will bring us Garrisons, new character models, Level 100, World PvP zone, and a free level 90 character. Garrosh escapes and goes to Draenor to build the Iron Horde, which will try to invade Azeroth. Draenor is somewhat similar to Outland, but all built from scratch. The Ogre empire there is in decline. Garrisons are your personal base, buildings have multiple tiers, specializations, offline progression, and more! Seven dungeons, Two Raids with 16 bosses, World Bosses, Normal, Heroic, Mythic raid difficulties. World PvP zone uses cross realm zone tech to create a faction balanced zone that always has PvP going on. Trial of the Gladiator (Arenas) will take place at more defined times during the week and give you the gear so that everyone is on equal footing as far as gear goes. Garrosh is creating the Iron Horde, but he only sets things in motion, he isn’t the main bad guy. This isn’t a time travel expansion, time travel is just a tool to explain the ongoing story. It isn’t being used to massively change the current timeline. The past is fine! World of Warcraft: Warlords of Draenor Revealed! Hearthstone Innkeeper’s Invitational – Watch Live! Blizzcon is in full swing this weekend! Day One is over, but nothing new to report Archaeology wise.